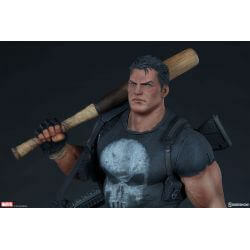 The Punisher Premium Format Sideshow Collectibles : 1/4 scale Premium Format collectible statue of The Punisher, the Marvel Comics character. 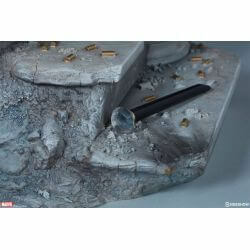 No Kingpin can control this Castle. 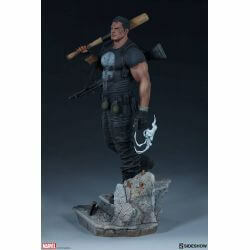 Sideshow presents The Punisher Premium Format Figure. 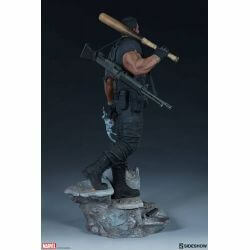 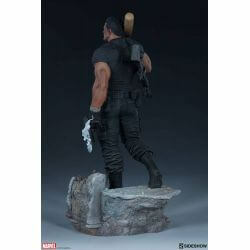 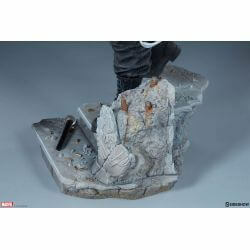 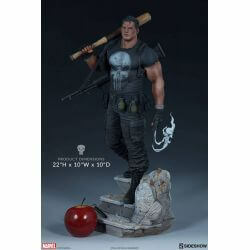 The Punisher Premium Format Figure measures 56 cm tall as Frank Castle descends the crumbling staircase of Kingpin’s manor. 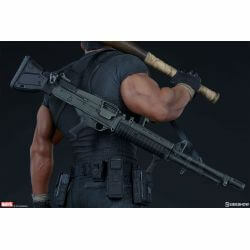 The monogrammed initials “W. 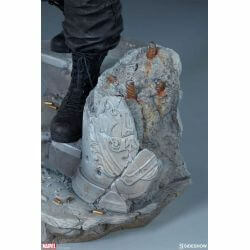 F.” can be seen on the damaged stone pillar while Fisk’s iconic diamond-topped cane rests amid the ruin. 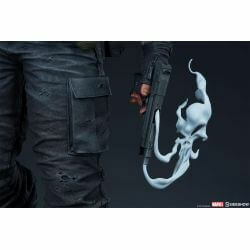 Gold shell casings litter the floor, and while The Punisher might be out of bullets, he’s certainly not out of options in this fight. 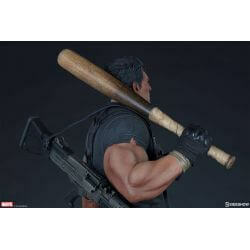 Clutching a splintered baseball bat, it’s up to Frank Castle to deliver his tactical brand of vigilante justice to this criminal operation. 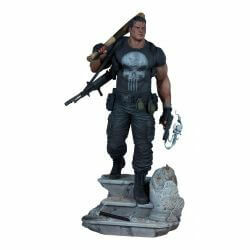 The resin Punisher Premium Format Figure features a sculpted costume with realistic fabric-like textures and fatigue. 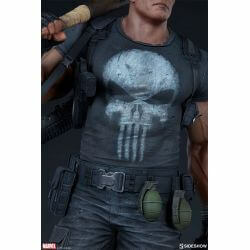 From the skull symbol on his chest to the distressed look of his pants, Frank Castle’s signature vigilante style is captured in immense detail. 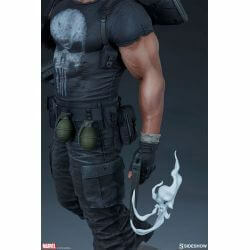 The Punisher also comes outfitted with a variety of tactical gear, including pouches, grenades, a heavy machine gun, and a freshly-fired pistol. 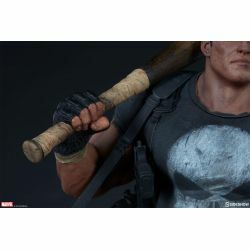 A plume of skull-shaped smoke rises from the barrel of the gun, serving as a warning to the criminal underworld of the Marvel Universe- Frank Castle is coming to stop you. Bring vigilante justice to your Marvel collectibles and order The Punisher Premium Format Figure today !